Soundtrack to the Doo Wop Era: A Kenny Vance Collection by Acadia at WA Tunes. MPN: CDCHD1117. Hurry! Limited time offer. Offer valid only while supplies last. This CD contains classic doo wop songs lovingly crafted into smooth late-night listening, for a mature audience, in Kenny Vance's inimitable style. 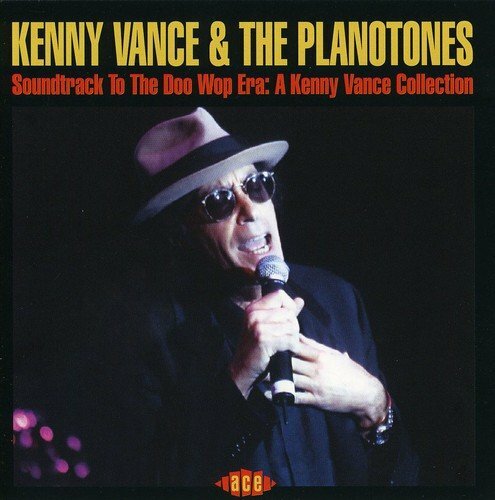 This CD contains classic doo wop songs lovingly crafted into smooth late-night listening, for a mature audience, in Kenny Vance's inimitable style. During a long and varied career as a singer, songwriter and producer, Vance has worked with Donald Fagen and Walter Becker in their pre-Steely Dan days, been a long-time member of Jay And The Americans, and been involved in films and several solo albums. Licensed from Kenny himself, this compilation takes tracks from several albums, including the original soundtrack of Looking For An Echo, Lover's Island and Out Of This World. 24 tracks featuring Lonely Way, The Way You Look Tonight, Stormy Weather, To Be Loved and many more, including four songs that are previously unreleased! If you have any questions about this product by Acadia, contact us by completing and submitting the form below. If you are looking for a specif part number, please include it with your message.